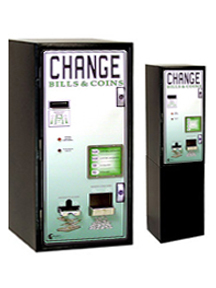 The BCX2020 features the Fujitsu F53 - Dual-Note Bill Dispenser in a front load cabinet style. 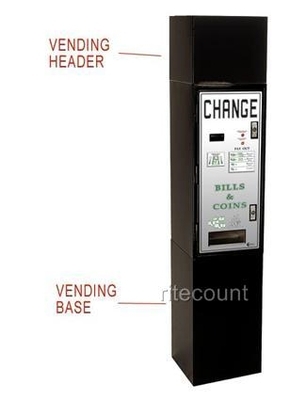 This dispenser allows the owner to load up to two different denominations of bills AND up to two different values of coins and/or tokens. The BCX2020 is programmed to dispense the pay-out you specify using our Expanded Function (EF) Module. If you wish to have a more sophisticated pay-out, you can change it in the field with the EF Module.